Having trouble placing Floyd unless he is added as one of the Special Edition additional band members. Pepe as Salacious Crumb is brilliant, but how would ya have sweetums as a giant worm? hmmm... Electric Mayhem as Max Rebo band, genius. Bobo, Walter, Crazy Harry, Lew Zealand, and Beauregard have to be in there. Heck, I can even see Nigel as a character. Any idea if these will be out by December Holiday season next month or are planned for spring/summer? Vicki Fraggle, Walter, galagr and 1 other person like this. Wow! They turned out awesome! What a good date to release those figures. 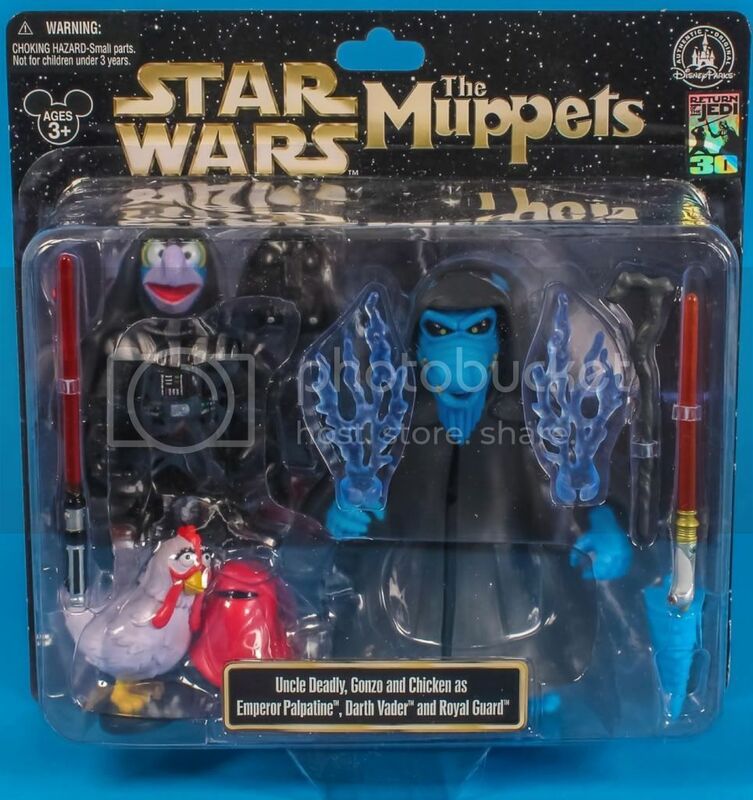 That means that Uncle Deadly and Bean will be released in two months! I'm excited and where is the 3rd series of vinylmation? What a coinkydink, I'll be down in the Orange County area that weekend of May 17th, but no way can my family afford Disneyland. 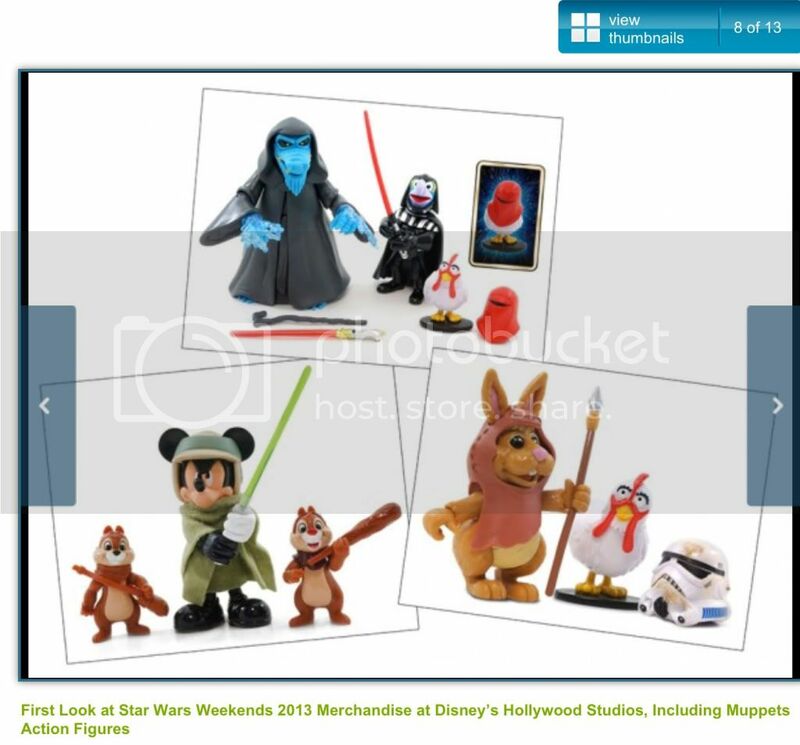 I hear Downtown Disney is free...any idea if these will be sold there or do you have to go to California Disney? Theyve jacked prices up so much it's just insane to get in. YES!!! I've been waiting for this day to come!!! I will absolutely be picking Deadly up while I'm at Star Wars Weekends this year!!! I would love to get that Uncle Deadly to add my collection. JJandJanice and Walter like this. Walter and muppetlover123 like this. Gonzo does include the fully masked alternate head. FunnyBear, FrackleFan2012, TheWeirdoGirl and 7 others like this.